It’s been a long time since I’ve written a Recipe Box post! Not having a kitchen for four months is partially to blame, but I’ve been doing a lot of cooking since moving into my apartment 6 weeks ago so I really don’t have a good excuse. Today’s post is less of a recipe and more of an ode to my favorite food group: Vegetables. 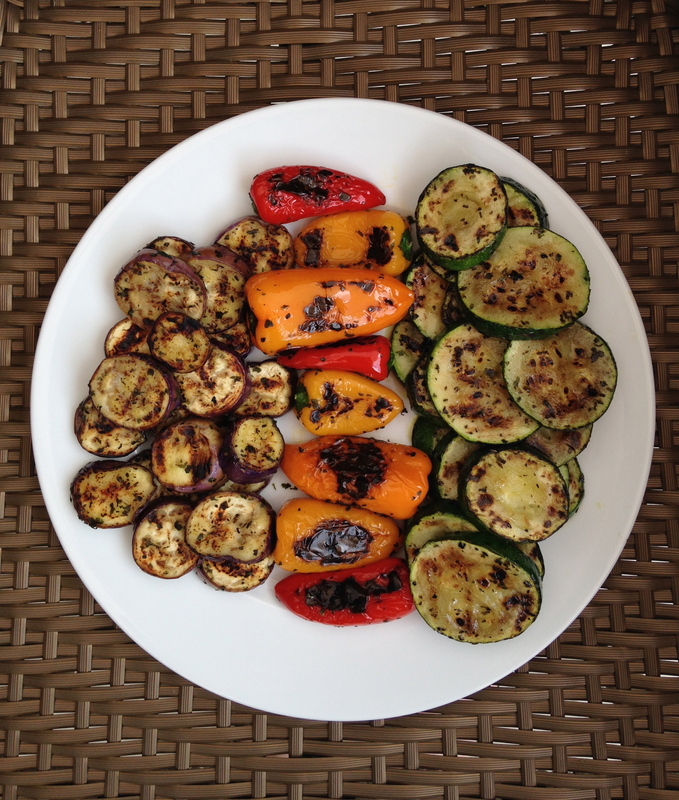 My favorite grilled vegetable is zucchini, closely followed by those cute little colored peppers in the middle of the plate. I normally grill eggplant, too, because it’s the most filling of three. Today I couldn’t find Dutch eggplants without holes in them, so I picked up two little Japanese eggplants. These long, thin eggplants feature in my favorite curries at a couple local restaurants. While vegetables that are grilled on a BBQ are undisputedly superior to all others, I had to settle for using a grill plan on my stove. Olive oil, dried parsley, and dried basil make a summery, tasty coating for the vegetables and make them look quite appetizing! I’m bringing this plate to our group dinner on the roof tonight. Another way I love to eat vegetables, particularly in the winter when the above are expensive and in short supply, is roasted. Root vegetables like sweet potatoes, carrots, and parsnips are out of this world after spending some quality time in a very hot oven. Again, olive oil and salt will suffice if you’re not looking for anything fancy. Unfortunately, we don’t have winter here and I don’t have an oven, so grilled vegetables it is!